From joy to heartache and every feeling in between, Chicago theatre tells stories that evoke big emotions. Stories that take risks, inspire awe, ask tough questions – and dare audiences to do the same. From musicals to plays to comedy, theatre is for everyone in Chicago. 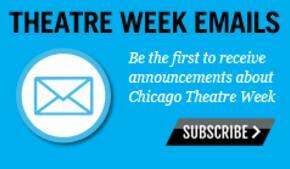 Chicago Theatre Week is a celebration of the stories we share. 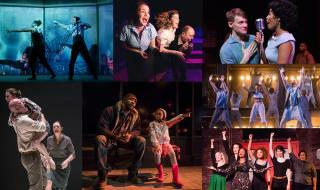 Presented by the League of Chicago Theatres in partnership with Choose Chicago, the seventh annual Chicago Theatre Week took place February 7-17, 2019 and kicked off 2019 as the Year of Chicago Theatre. Theatres across Chicago offered $15 or $30 value-priced tickets to CTW performances, and thousands of residents and visitors took advantage of the opportunity to sample the extraordinary range of theatrical offerings throughout the Chicago area. The annual theatre event will return in February 2020 — Subscribe to the Theatre Week email list or follow @ChicagoPlays for updates and announcements. With awe-inspiring theatre happening year-round and half-price deals at Hot Tix, there’s no need to limit your theatre adventures to February! Home to a community of creators, risk-takers, and big hearts, Chicago theatre is a hotbed for exciting new work. The spirit of Chicago theatre is found throughout our neighborhoods, from downtown venues to behind the storefronts, in a diverse collection of over 200 dynamic theatres. 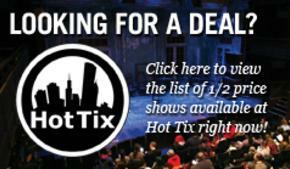 Theatre is where Chicago bares its fearless soul. Plus, check out these 10 hot shows to see in Chicago this month!